Say hello to Dean Blake, an experienced project manager at Barclays, and this year’s Free Training For Life winner. Dean has won this prize of a lifetime, gaining unrestricted access to a portfolio of over 600 accelerated, world-class training courses from the industry-leading vendors including Microsoft, EC-Council, CompTIA, ISACA, Cisco, The Open Group, AXELOS and many more. “Honestly I could not believe it at first! I thought the call was intended for someone else - it took a few moments to realise it was for real!" "The benefits [of winning Free Training For Life], both tangible and intangible are huge - industry certifications, networking with in the IT community; and this opportunity for leading-edge training is really a massive enabler for my professional development & career." 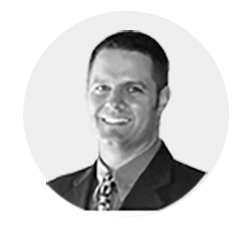 Once the “reality of winning this awesome prize” has sunk in, Dean plans to dive straight into his project management training. PMI® Project Management Professional (PMP), the first certification on his list, is an industry-recognised certification for project managers, which signifies expert knowledge in the global language of project management and what Dean considers the benchmark Project Management certification to have. Following on from his PMP Certification, Dean has expressed interest in Six Sigma, a certification designed to provide you with skills and techniques to improve the quality of outputs by identifying and reducing the risk of errors through minimising variability in manufacturing and business processes. Dean’s win gains him unlimited access to over 600 accelerated courses, allowing him to get the skills he needs to further his career, completely for free! 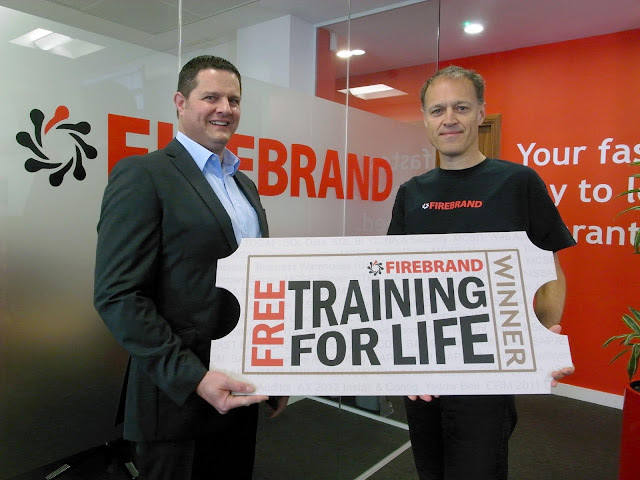 He’ll be fully immersed in Firebrand’s unique learning experience which includes training, accommodation, meals and exams at any Firebrand Training Centre in the world. Dean joins previous winners, Jennifer Hamling-Hills, Joseph Guthrie, Mario Henkel and Darren Edmondson as the fifth winner of this annual prize. 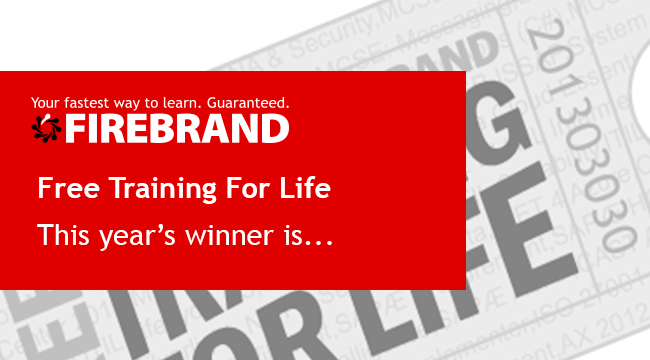 Free Training For Life has been relaunched for the sixth year - now’s your chance to join the winners. Take two minutes to enter this year’s Free Training For Life competition. 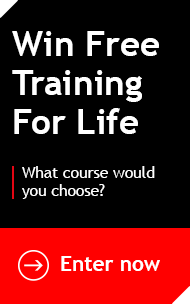 One person will be picked at random and they'll win Free Training For Life. Already entered? Share the unique URL you received when you entered. Each extra entry via your unique URL counts as another 10 for you in the draw.